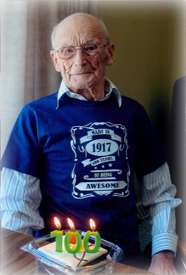 With heavy hearts at having to say good-bye, but also feeling blessed for having their Dad with them for many years, the family of William “Bill” Jasinsky of Smoky Lake announces his passing on June 5, 2018 at the age of 100 years and 6 months. 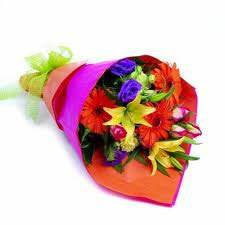 He is survived by his three children, Dennis Jasinsky, Linda (Robert) Morgan and Dwayne Jasinsky; two grandchildren, Denis Jasinsky and Jennifer (Ken) Rutherford; and six great-grandchildren, Anna, K.C., Alli, Tori, Joe and Theo; brother-in law, George; sisters-in-law, Olga, Cassie, Lily and Marion; as well as numerous nieces and nephews. Bill was predeceased by his wife, Eva (2010); daughter-in-law, Amelia (2015); and parents, Martyn (1942) and Catharina (1917). The family would like to express their appreciation for the care and support received from Homecare and Bar-V-Nook Manor; as well as to Drs. Stephan and Anton Raubenheimer, and the nursing staff at the Smoky Lake Health Centre and Misericordia Hospital. A Funeral Service will be held on Tuesday, June 12 at 10:30 a.m. at St. Pokrova Orthodox Church, Edwand. Very Reverend Father Benny Ambrosie will be officiating, with interment in the Church Cemetery. If desired, donations in Bill’s memory may be made to St. Pokrova Orthodox Church, Edwand or a charity of one’s choice c/o 5626 – 51 Street, St. Paul, AB T0A 3A1. To send condolences online, please visit www.gracegardensfuneralchapel.com. Deepest sympathies to the family of Bill. He was always a gentleman. Rest in peace.